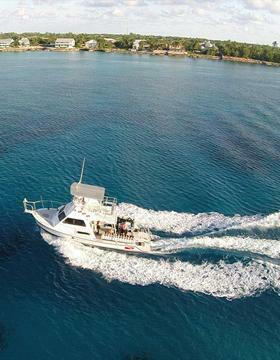 In order to provide 5 star Cayman Dive service, we specialize in small groups on the biggest and newest dive boats in The Cayman Islands. 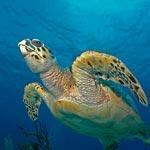 This concept allows us to offer outstanding personal service in and out of the water. 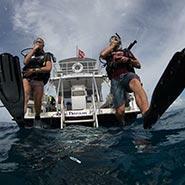 Our divers enjoy uncrowded and unhurried diving and get to stretch out and make our boats their own. 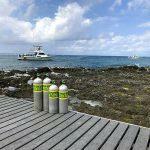 The boats are both custom made for divers and we have put over 20 years of dive industry experience into their design. Our boats have covered cabins to avoid sun burn and rain showers. They have large floor plans that give room for dive gear and divers. You will feel relaxed and comfortable when on board. Small groups on big boats means a lot of room and comfort when you are on the surface. 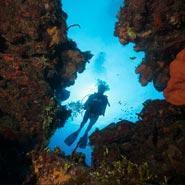 Small groups in the water on your dive creates perfect dive experience. 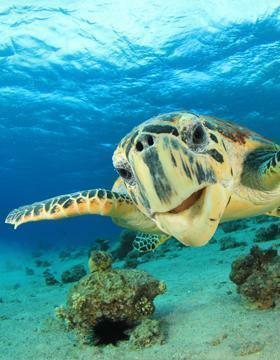 An uncrowded Cayman dive experience means when you see that turtle, eel or fun marine critter you have space and time to look at it or take a photo of it. 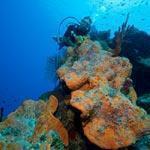 All our dives are personally guided so we are in the water from beginning to end. This means we are able to offer extended bottom times and a relaxed approach to diving, making sure everyone is comfortable and receiving the personal attention needed. 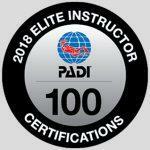 We do not mix students with experienced certified divers – we further split our small groups, adding an extra instructor on board so that everyone receives the attention they need, no matter what their experience level. 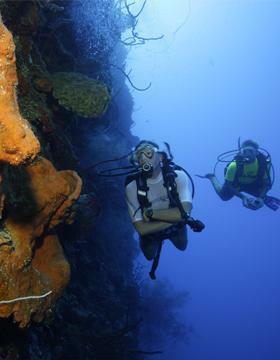 The added safety and comfort of diving in a small group makes for an outstanding dive experience which is unparalleled on island. 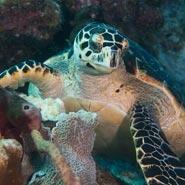 We love diving and our mission is to share the amazing reefs and critters with you. 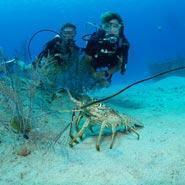 The best way to do this is on big custom made dive boast with small groups of divers. Simple. 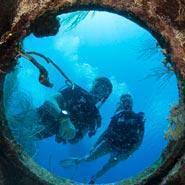 Living The Dream Divers has been designed from the beginning to do just this. 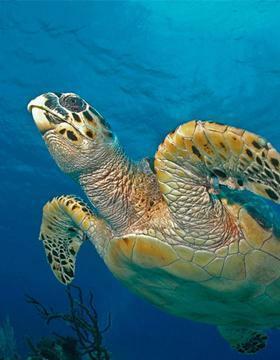 For an unparalleled small group dive experience on the very best dive boats in Cayman book your Cayman Dive trip today. By now I am sure you realize we take small groups. This means we tend to fill up early. 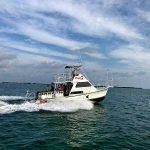 We always recommend advanced bookings as the spaces on the boats are limited. No deposit is needed for your reservation. Sign up today!